Heat oven to 425ºF. 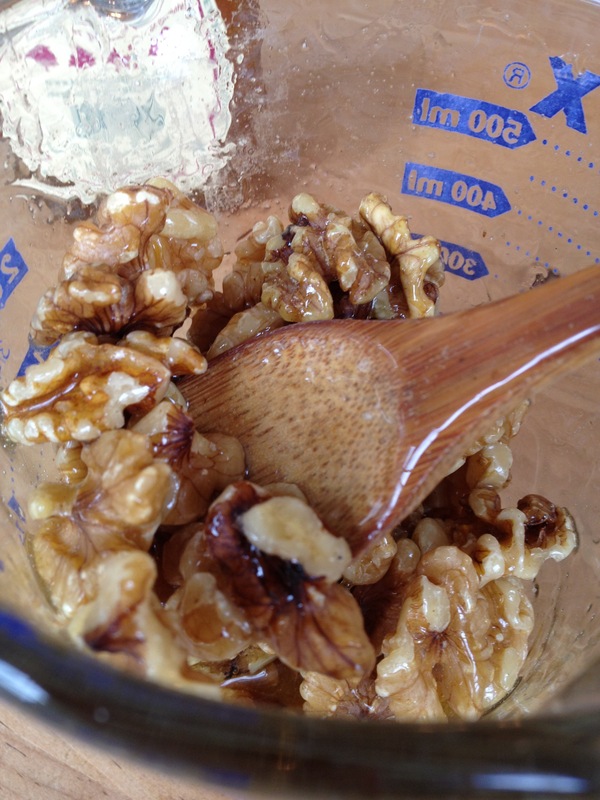 Add walnuts and maple syrup to a large measuring cup or small mixing bowl. Stir until nuts are fully coated. Line a baking sheet with parchment paper. 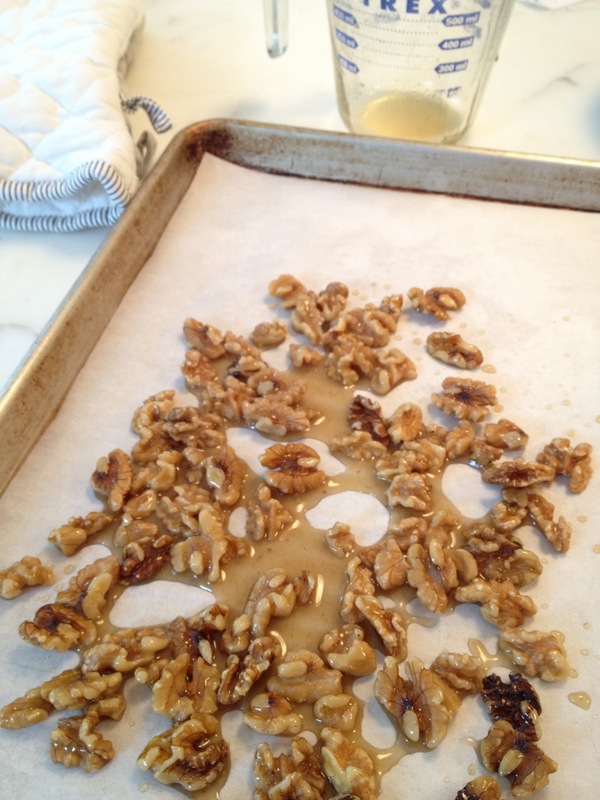 Dump coated nuts onto baking sheet and use mixing spoon to spread out and separate nuts. 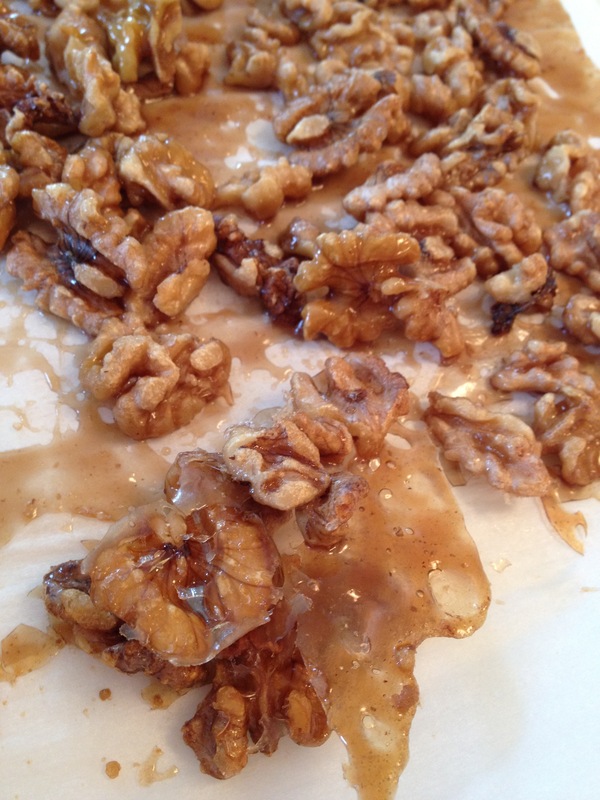 Maple syrup turns into crisp candy in the oven. 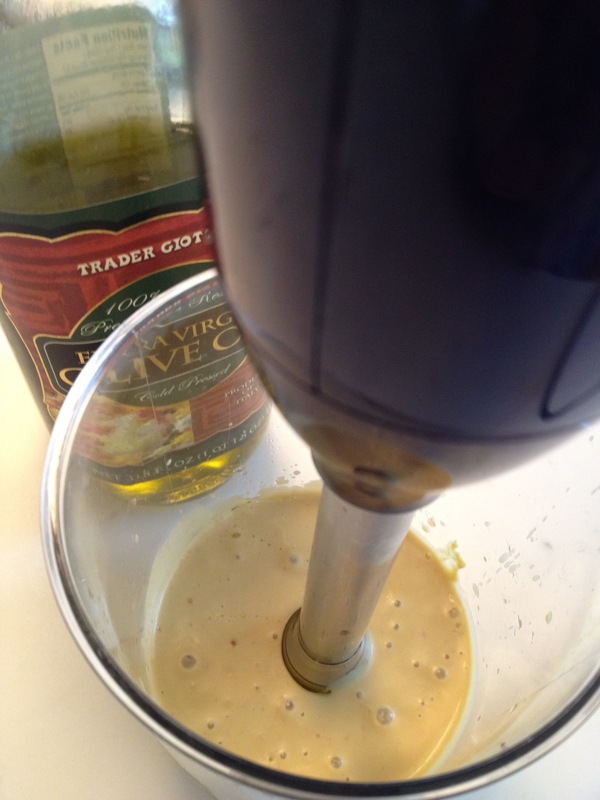 Add everything but the olive oil to a small bowl or immersion blender beaker. Stir or blend to combine. Slowly whisk in or blend the olive oil until all incorporated. Taste for seasoning; add more salt, a pinch of sugar, or a little more olive oil if necessary. 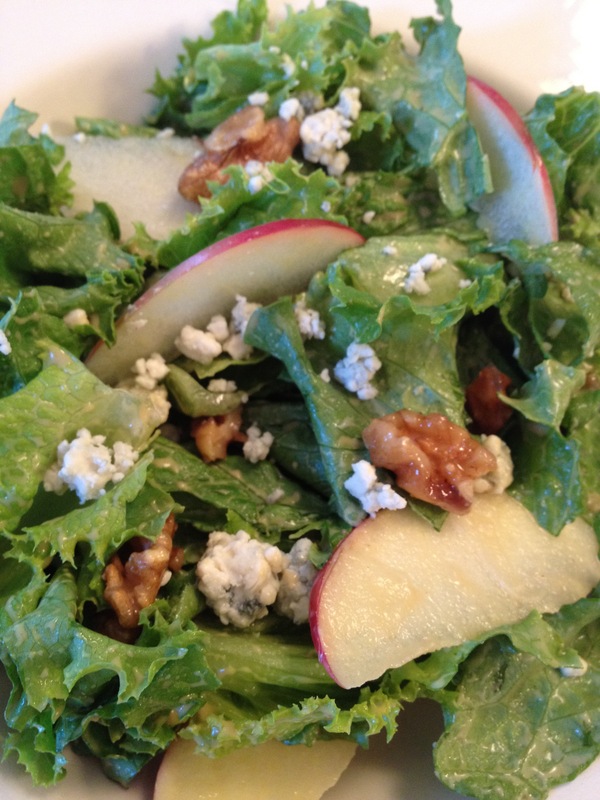 Add greens, apple slices, blue cheese and walnuts to a large salad bowl. 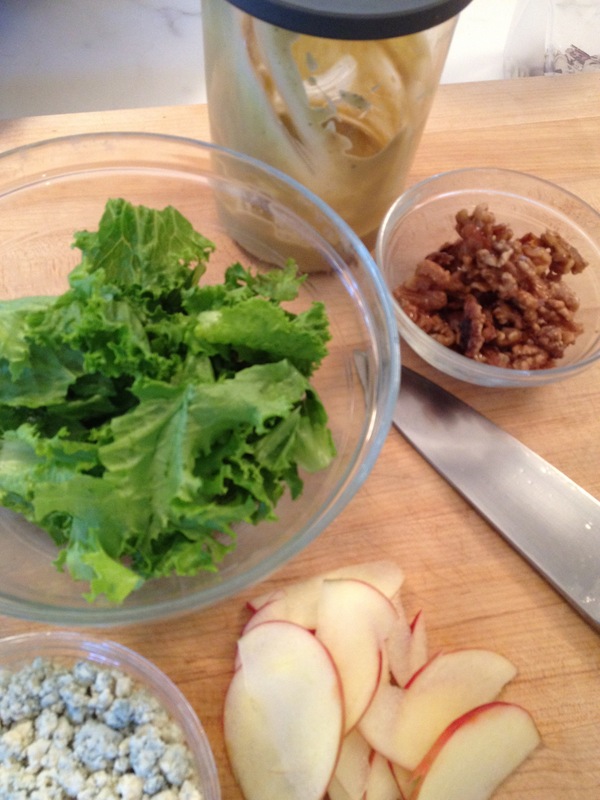 When ready to serve, toss with desired amount of vinaigrette, so leaves are lightly coated but not swimming in dressing (there may be extra left over). 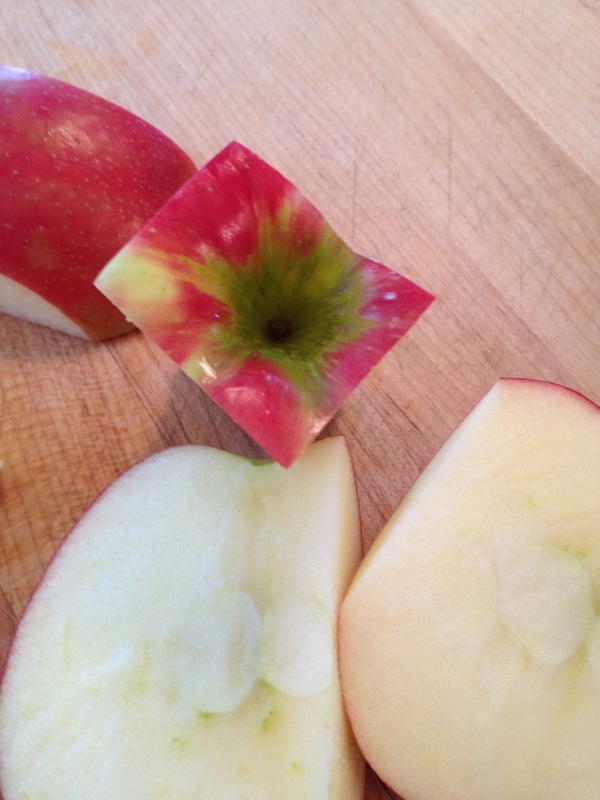 Cut four sides off the apple, leaving a square core. 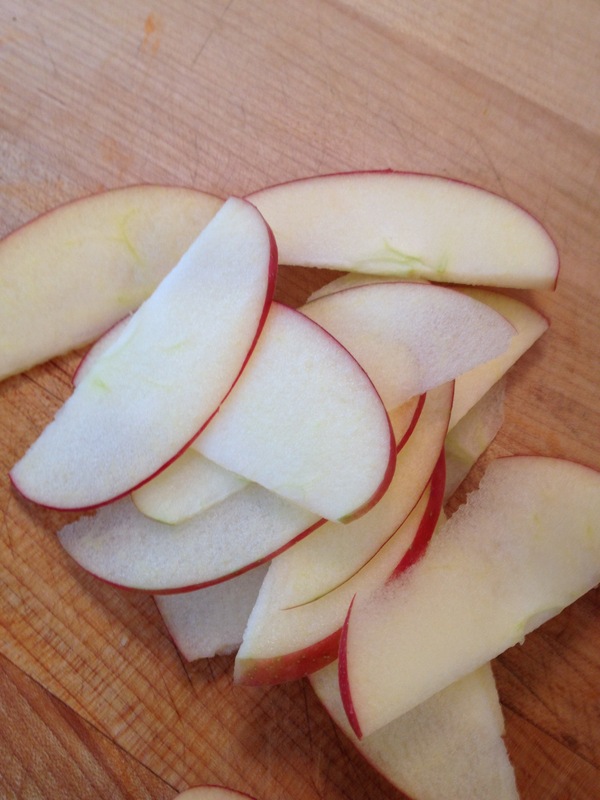 Then slice each side section to desired thickness. This entry was posted in Fall Favorites, Salads and tagged candied walnuts, fall recipes, harvest recipes, homemade dressing by subeeskitchen. Bookmark the permalink. I have enjoyed (ok, devoured) this Subeelicious salad and everything she said – and didn’t say – about it is true. I would do the new Everyday Mathematics and the badge sewing just to get another plate of it !! Of course, I’m not really sure that would work for anybody but me ?! This looks so good! I will be making this one! Good luck with partial sums. How about lattice? UGH! Lattice is even more bizarre! Not sure what was wrong with the “old math” . . .
Hi Sue, I made this for the Lodge family gathering at our house on Friday and it was a huge hit! In fact, I repeated it the next night and swapped grapes for the apples which was equally as good.